Without the LRT, local transit in Scarborough will be reduced to less than what residents have now. Photo by Evan Russell via Torontoist Flickr pool. Forgive the pun, but the discussion about transit expansion in Scarborough is totally off the rails. One of the reasons the conversation is such a mess is that the plans for the Scarborough subway extension demonstrate a confusion of local and regional transit. When we talk about “local” and “regional,” we are talking about different scales of transit. Scale in transit planning is about both physical distance and time. If we don’t get a handle on the importance of scale in transit planning, we won’t get anyone where they want to go any faster than they can now, and we won’t get anyone out of their cars. That’s an (increasingly huge) waste of money and makes for a dysfunctional city. Toronto ought to do better. Toronto, like most big cities, is (or, rather, should be) a 30-minute city. That means it shouldn’t take much more than 30 minutes to get from one part of the city to another. Also, 30 minutes is meant to be a maximum, not a minimum. We don’t expect trips to literally take exactly 30 minutes. It’s a general idea. A psychological expectation, around which people make decisions about mode of travel. That psychological time frame is what should guide the distinction between regional and local transit. In a city as big as Toronto, we need both. According to a 2014 report, Toronto’s average daily commute is 65.6 minutes, so we’re just over the 30-minute mark each way and there are many commuters taking much longer. As Shawn Micallef reminds us in his new book, Frontier City, our fair city is physically enormous: 44 km across. It covers more than 630 square kilometres, within which it houses about 2.7 million residents, and regularly hosts a few hundred thousand workers and students from the suburbs. That’s a lot of people to move across a lot of space. Luckily, we have both regional and local transit in Toronto. The problem is: we’re losing sight of their distinctions. We make our network less functional every time we try to make local transit do the work of regional, or turn regional into local. And this is a core problem with the current plan for transit expansion in Scarborough. Local transit stops frequently, and has its stops close together. The goal is that your destination is within walking distance of the stop where you get off. Regional transit is meant to conquer big spaces, to move you from one area of the city to another. To do this regional transit moves at a faster speed and stops infrequently. If local transit would take more than 30 minutes to get you there, then it’s time for regional transit. Regional transit rarely gets you to the door of your destination; that’s not its job. Many people start their journey on regional transit and then change to local transit. The goal in a 30-minute city is that the entire trip is about 30 minutes or less. Streetcars and most buses in the TTC system provide local service. There are a few express buses that provide something closer to regional. For access to and within downtown Toronto, the subway acts as a clearly local transit service for the stops south of St. Clair Avenue and between Dufferin and Donlands (we can fight about this if you like, but that’s my estimate). Stations are quite close together: between those stations, the travel time is usually less than two minutes; sometimes, it’s less than 60 seconds. We should also note that the frequency of subway, streetcar and bus arrival is part of what makes it successful local service. If you add a 15-minute wait to a 10-minute ride, driving becomes more appealing. As Toronto’s subway stretches out north, east and west, its travel times stretch out, and in places, it starts to resemble regional service. For anyone travelling from its current terminal stations, the commute to downtown is just under 30 minutes. These are distances that are pushing the limit of a journey that would be better served by a regional mode—particularly if a commute has an additional leg before/after a transfer to/from the subway. So let’s take a closer look at transit in Scarborough. By land area, Scarborough is the biggest community within the city—it’s one-third of Toronto. But its population density is less than the city’s average; generally speaking, people are more spread out from each other and from the places they need to go. In the area covered by the SSE proposal, the Scarborough Rapid Transit trains currently provide some local service to Scarborough, with five stops after Kennedy to McCowan station. The plan is to reduce those five stations to one. 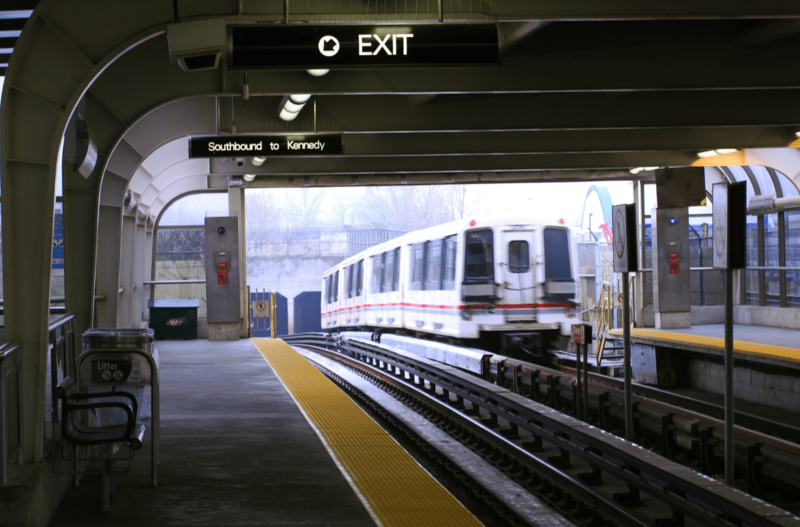 The proposed 6.2-kilometre subway tunnel from Kennedy to Scarborough Town Centre will thus replace local transit with a regional scale of service. The distance between Kennedy and STC stations is the same as from Union Station to Davisville. The trip will take 6.5 to 7.5 minutes instead of the current nine minutes on the SRT. This will save some residents about five minutes overall, when we factor in the elimination of the transfer between SRT and subway. Those who currently use the in-between stops will have to bus to/from either Kennedy or the STC, and won’t save any time at all. Their trips will probably get longer. There’s more to consider, too. As important as it is to support the six per cent of Scarborough residents who travel downtown daily, 60 per cent of residents’ trips are within Scarborough. People want to meet most of their daily and emergency needs locally. No one prefers to go all the way across town for school or groceries or a doctor’s appointment. Scarborough should be included in a 30-minute city plan, but low population density in places and suburban road design make that a bit tricky. If you’ve ever taken one of those long and winding bus routes from Warden Station, you know what I mean. The LRT is ideal for addressing this. The initial plan for the SSE was a three-stop subway. It wasn’t a good plan for a number of reasons, but its rising cost led to its cancellation and replacement with Chief Planner Jennifer Keesmaat’s package of a one-stop subway extension and a 17-stop LRT line. The best part of the new package was not the reduction of the local SRT to one-stop regional subway service; it was those 17 LRT stops. The part that would make a real difference was the LRT, whose trains would move more people, faster than buses could, across that great Scarborough space. However, the rising cost of the SSE has left the LRT unfunded. Those 17 LRT stops would improve local service to give many more Scarborough residents a better, faster option to access the shops and services along Eglinton Avenue East and Kingston Road. They would also improve access to Morningside Park, the Scarborough Drop In Centre, and Centenary Hospital. They would make it easier to get to the University of Toronto-Scarborough or West Hill Collegiate (which has capacity for almost twice as many students as it currently enrols). Scarborough already has regional service to downtown from several GO Train stations. What the community needs is better local service for those 60 per cent of residents moving within Scarborough every day. The SSE plan, without the LRT, reduces local transit in Scarborough to less than what they have now. What that means is that we’re making no progress with using public transit to improve the economic participation and overall well-being of Scarborough residents. And that’s one of the primary reasons we invest billions to build transit. Turning one scale of transit into the other reduces the efficacy of both. Turning a small part of a local service into a regional one reduces local access for no real gain. The SSE is not an express to downtown; it’s an express to Kennedy. The Eglinton East LRT has already been through an Environmental Assessment, and it is pretty much “shovel-ready.” The mayor recently said the SSE is also “shovel-ready.” No, it isn’t. 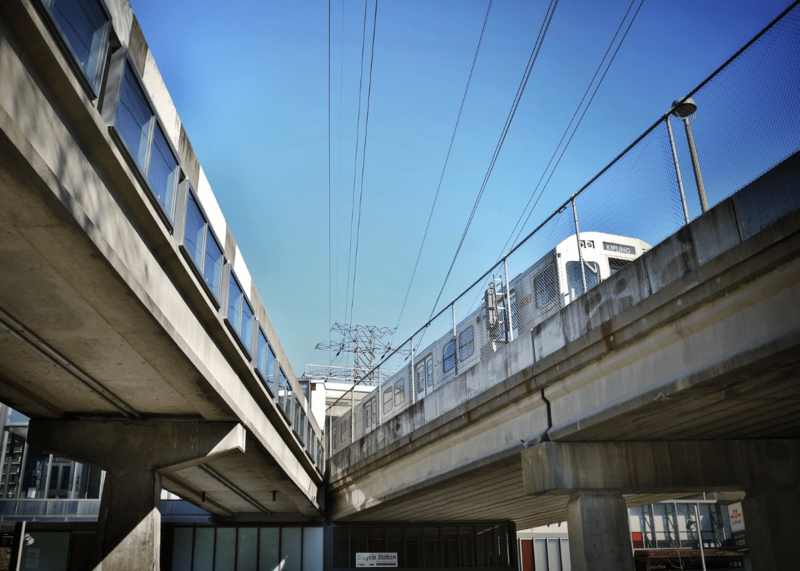 Let’s keep our regional and local transit systems in order, and build functional transit in this city. Let’s try to be a 30-minute city. Start with the part of the Keesmaat package that will make a difference. Prioritize, fund, and build the LRT.